The Nigerian entertainment industry is one riddled with loads of controversies. A journalist recently took to the social media with an alleged story of infidelity by a partner to one of Nigeria’s biggest music superstars. The journalist identified as Kemi Olunloyo took to her Twitter timeline with a post in which she had directed at singer, Davido. 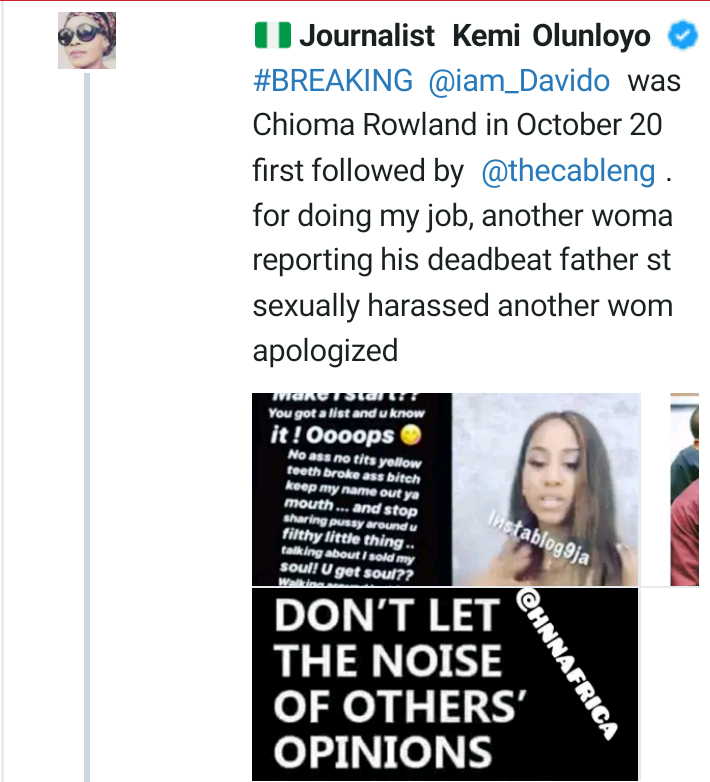 In the tweet, she alleged that the singer’s lover Chioma, had dumped him since October 2018, and that the singer had cursed her out for doing her job as one that keeps the public aware of necessary information. She continued in another tweet in which she put forward an alleged report of Special Spesh, a worker under Davido’s record label, revealing in a private chat that the Assurance crooner’s lover was usually involved in romantic affairs with other parties whenever she was in London. 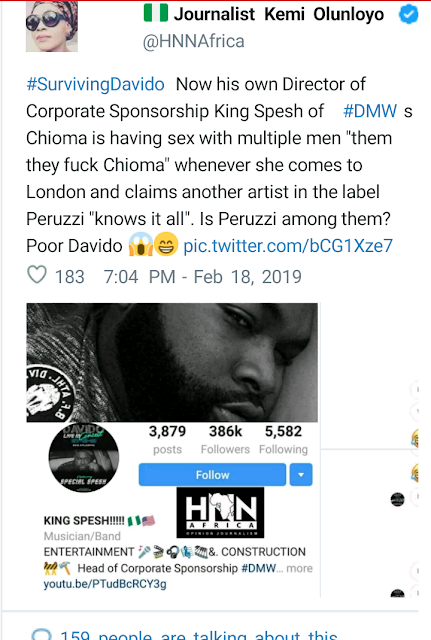 The private chat she shared also revealed further that another member of the DMW crew Peruzzi was well aware of the alleged escapades of the singer’s lover.